Nowadays, many people are getting fond of screen mirroring since they can watch their favorite movies stored on their phones on a bigger screen just getting the same experience when going to a cinema. Also, it’s a good way to share media files on mobile phones with family members. While many of you may wonder how to mirror Android to TV. Here we provide three practical ways to do it. 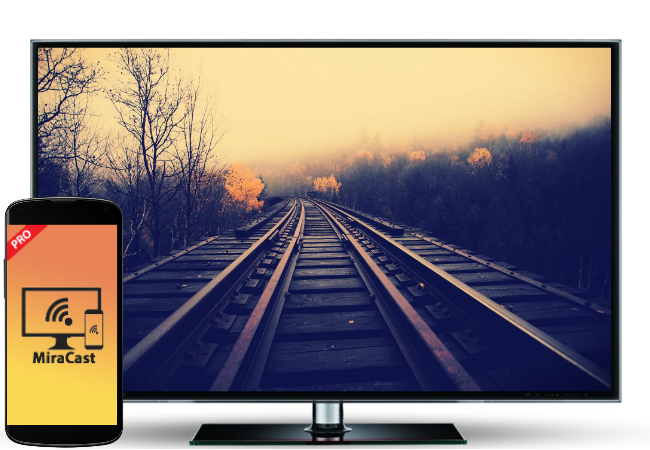 Chromecast is a tool that can easily help you stream your Android device to TV. It is a device powered by a USB cable plugged into the TV’s HDMI port and you can rely on Google Home app in order to connect your Android to TV successfully. With the help of this device, you can easily access your phone media files on your TV and open videos from different video sharing sites and watch them on TV. 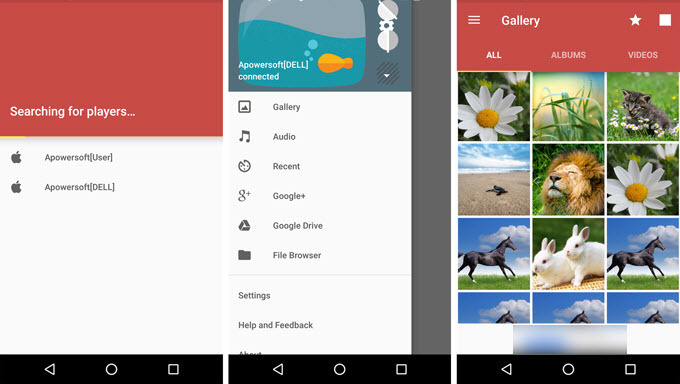 Moreover, it requires Android 5.1 version and later for full compatibility. Here is a simple guide on how to mirror Android to Smart TV without any trouble. Download and install Google Home on your Android device from the Google Play Store. Run the app once installed then accept the terms and set up a new Chromecast. Afterwards, it will direct you to the “WiFi Settings”. Just select the name that displays the same on the TV. Once connected, go back to the app and set up the device. 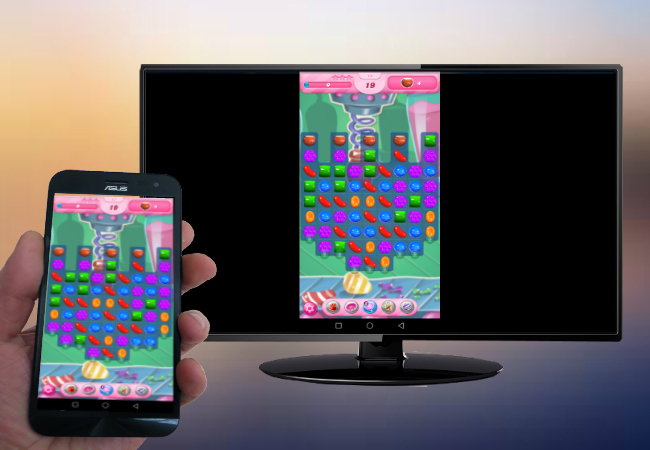 Your mobile phone screen is now mirrored to the TV and you can enjoy watching movies or other videos on your TV now. Note: Make sure that both mobile phone and TV are connected to the same WiFi network. It can easily connect to different TVs. It allows you to watch movies from several video sharing sites. Another tool you can use to display Android screen on TV wirelessly is MiraCast. This app can be used only for those TVs that have a receiver. It allows Android version 4.2 and later to display the phone screen on TV. Furthermore, this app is perfect for entertainment, business meeting, education and a lot more. In case that the TV is not compatible with the app, you will need to buy Net Gear for your TV. To use this app to mirror Android screen to TV, see the guide below. On your Android device, visit Google Play Store then download and install the MiraCast app. Once done, open the app on your Android and then enable the “MiraCast Display” on on your TV. Just make sure that both devices are connected to the same WiFi network. Next, tap the “START” button on your phone to start mirroring. Then your Android screen will be streamed on TV immediately. Turn off the MiraCast receiver when you are done. It supports TV with 1080p screen resolution. It is available for older Android devices. 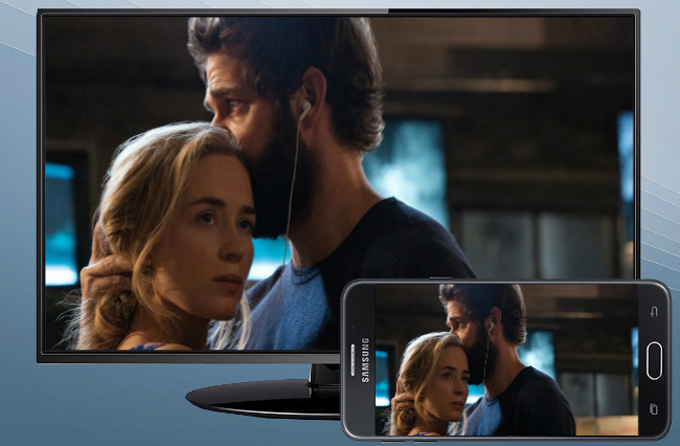 AllCast is a tool that you can also rely on to stream your Android screen to a TV. With it, you can view videos, photos, and music stored on your Android device on a TV screen. Android OS version of 5.0 and later has a full compatibility with this app. Aside from that, it has a free version which lets you view pictures and videos within 5 minutes. Also, you can upgrade for unlimited time viewing. Follow the steps to see how to cast Android screen to TV. Go to the Google Play Store on your Android and install AllCast. Open the app, and it will automatically search for available devices. Tap the name of your TV from the found devices list, and then choose a media file that you want to send onto your TV. Afterwards, you will see the media file displayed on your TV screen instantly. You can access recent viewing history through it. It has a high compatibility with different platforms. The above-mentioned tools are the most effective ones for you to display Android screen on TV. They have the same functions in terms of mirroring or casting mobile device to TV. Try them out and you’ll find the one meet your needs best.